Okay, at What the Fur 2016, I commissioned some pics of my Fursona, Rom Lonewolf the Wolf Wizard. 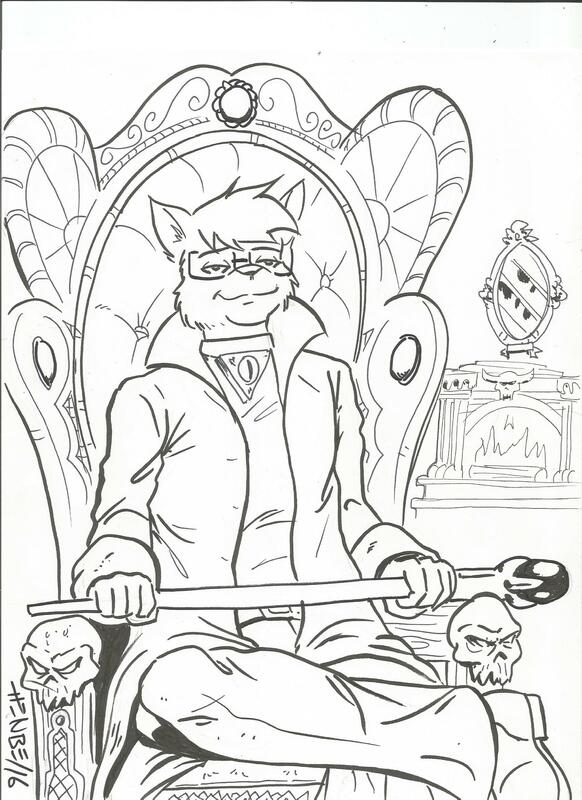 Here is a new take by my fellow Quebec Furry Artist Henbe, of me sitting and lounging in my sitting room, wand-cane over my lap, and rather smug. Clearly, I'm eagerly meeting someone for a five-o-clock appointment.